If you are running Amazon Niche site(s) then you already know that WordPress is one of the best platforms to go for. WordPress interface and manageability makes it so much easier to maintain a dynamic blog. So as you already are an affiliate marketer, I don’t want to waste any more of your time by talking about the things that you are already aware of. Let’s get right to the list of best Amazon WordPress Plugins that will help you rock the affiliate world. Kindly note that most of the wordpress plugins that we have discussed here are paid or have paid version. This is because they are best of the best and you have to pay a little price to get the best plugins in the market. Let me know what you think about this in the comment section below. This was the first plugin that I used ever for Affiliate Purpose on this blog. It makes linking to the Amazon Products from all locales very easily. To set it up, you just have to obtain API Keys that can access product advertising API and enter it in the plugin. Then you have to fill out tracking IDs for different Amazon Storefronts and you are good to go. Also, you get a localization option where you can define ASIN code across different storefronts so that user from different countries will be redirected to their respective storefronts with the product defined by you. You can also set it to automatic and it will just return the search for the product in the respective storefront. If you are running an affiliate wordpress site which has reader base from different countries then the use of EasyAzon will surely give a boost to your affiliate earnings by localizing your links. I got over 30% increase in the earnings. You can also get the lifetime license & unlimited sites plan for using it on multiple sites. This is one of the best plugins to get started with. AAWP is one of the best plugins that you can use to increase the conversion rate on your Amazon affiliate blog. EasyAzon was only good for inserting text links, however, AAWP is packed with the similar features but its main focus is on the visuals. Lists like BestSeller, New Releases etc. So you can see that it is One of a kind plugin which will manage all the affiliate-related thing to Amazon including the visuals. The regular updates make it even cooler to have new design and features. You can create awesome click to action buttons, dialogues, comparison tables and many other things that will take a hell lot of time to create and even maintain after creation. This AAWP plugin will do all these stuff you in a blink. Awesome, Right! If you are an affiliate marketer or even a social media enthusiast then you might already have heard about Genius Links. It is the smart link service which is compatible with iTunes, Amazon Associates Program, Microsoft and many other. But there is a catch, it is a paid service and you will have to pay for it based on the number of clicks that you receive on the links created using Genius Links. Keeping all that aside let’s talk about their plugin. The plugin is caller Amazon Link Engine, to ensure the full benefits you will have to go with the subscription, only then you will be able to get credentials to get it at full use. This plugin will automatically convert all of the existing and unaffiliated links of Amazon to the affiliate links. Moreover, Genius links use a patented algorithm to search for the same product on other storefront and automatically selects the best match and redirect the user to that item. In this way, you can boost your conversion rate to a great extent. But if you are just starting out, I am developing a similar smart link service called Astute Links and also currently using it on this blog to monetize all the affiliate traffic. There is no plugin available yet but I am still working on it. ThirstyAffiliates is one of the most popular plugins available for WordPress. It is basically a link management plugin which can do wonders if you use it properly. Kindly note that it is an overall best affiliate plugin, it is not designed specifically for Amazon Affiliates and hence it will not have all the fancy features like other plugins do. The best use of this plugin can be done when you have traffic from a targeted country. 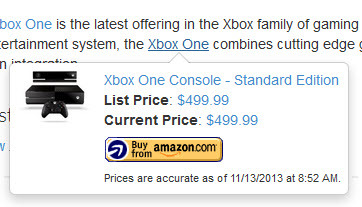 You can turn the ugly Amazon affiliates to the prettier one of your choice. In this way, it can also help in remembering it easily. The other case is if you are keen in mentioning some of the keywords in many articles then you don’t have to manually add links for every keyword. You can use auto link feature to attach a link to the specified keyword in every article in just a few clicks. You can also track statistics for the generated URLs and even can fix broken links. So that’s it about ThirstyAffiliates Plugin! If you are a person who runs WooCommerce on WordPress then things can finally be easier for you. WooCommerce Amazon Affiliates plugin will let you import products from Amazon very easily. This plugin will work with any WooCommerce compatible theme. If you are already running a store then adding this plugin may increase your revenue by suggesting products to you based on keywords and stuff. Geo-targeting is also available like other Amazon Affiliate Plugins. You can also create shortcodes for product and many more. I haven’t tested the plugin myself but have heard a lot about it and also it is one of the best selling plugins of WordPress. Get WooCommerce Amazon Affiliates Now! The Article must not end without a mention of the official Amazon Associates Link Builder plugin by Amazon. Don’t expect anything fancy from this plugin, it’s just the basics. This plugin enables you to search for products, prices and other details that are accessible via Product Advertising API. There is no Geo-targeting or any comparison table or anything like. This plugin will save you the trouble to visit Amazon Affiliate Central everytime to generate product links. Nothing else! Get Amazon Associates Link Builder! There are tons of Amazon Affiliate Plugins that you can find on the internet. But the plugins that we have discussed here are being used on most successful affiliate blogs. If you have any other plugin or service in mind that is worth mentioning here, do let me know in the comment section below. Thanks Mehul Boricha for sharing this psot about Best WordPress Plugins for Affiliate Marketing. Affiliate Marketing is growing day by day and most of Bloggers are following affiliate marketing. So this is nice post to know some best WordPress Plugins for Affiliate Marketer.